Cairns best Realestate Photography for both domestic and commercial markets. 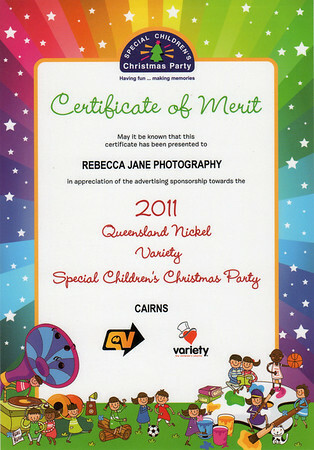 The Special Children's Christmas Parties are annual events held in many areas around Australia. The invited children are either living with a life threatening illness or have a physical or intellectual disability. Some siblings of special needs children and limited numbers of children living in severely disadvantaged circumstances may also receive invitations. Parties were held in 2011 in Darwin, Cairns, Townsville, Mackay, Rockhampton, Coffs Harbour and Newcastle. Children are sourced from an area as great as a 300km radius from each Party. In all, a total of around 6,000 children attended the seven events. the sale of advertising sponsorships. Without the generous support of the business community, these events would not take place and the children and their families would lose a valuable networking and social experience. Everything is provided free of charge to the invited children, their families and carers and this requires a substantial financial commitment by organisers as there can be as many as 4,000 people at any one event. We love to help whenever and where ever we can. 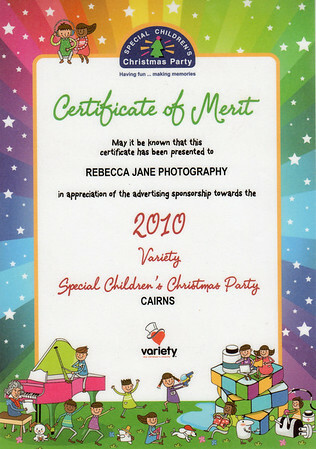 Every year we support the Variety Special Childrens Xmas Party. Every child deserves a fun and fulfilling Xmas. Every little bit helps!! Here is our certificate of Merit for 2010 and 2012. If your a local business and would like to help please see details below.